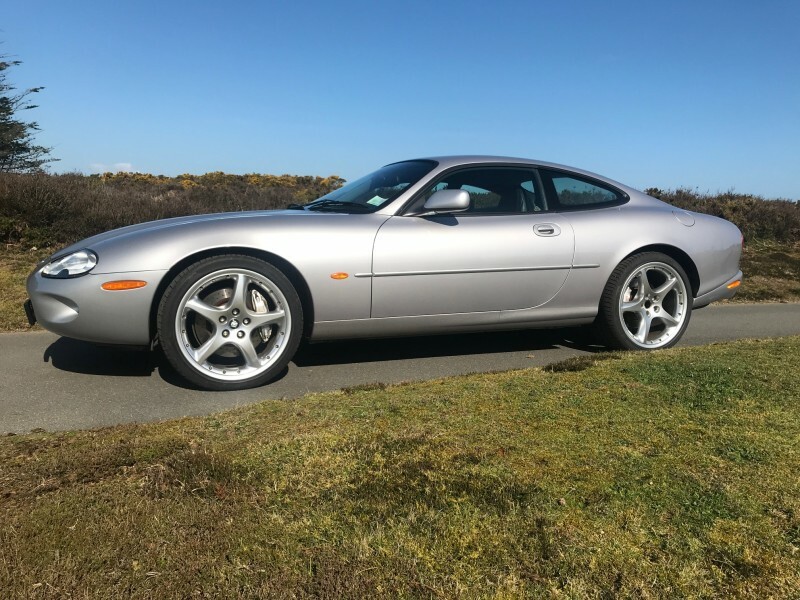 One of only 52 RHD Silverstone coupes built in 2000, this Silverstone was supplied by Jacksons Garages in Jersey in April 2000, as a Jersey delivered car, the mileage is low and commensurate with limited use. The cars were finished in Platinum, a high-performance package with the same engine as the standard XKR, but improved transmission, steering, suspension and brakes (Brembo 4-piston brakes with aluminium callipers producing 60 mph to 0 in 103 feet (31 m), 20-inch silver BBS wheels and a custom interior (red-stitched black leather and silver birds-eye maple wood). All possible factory options were included, with the exception of the telephone and the navigation system, which had to be ordered separately. 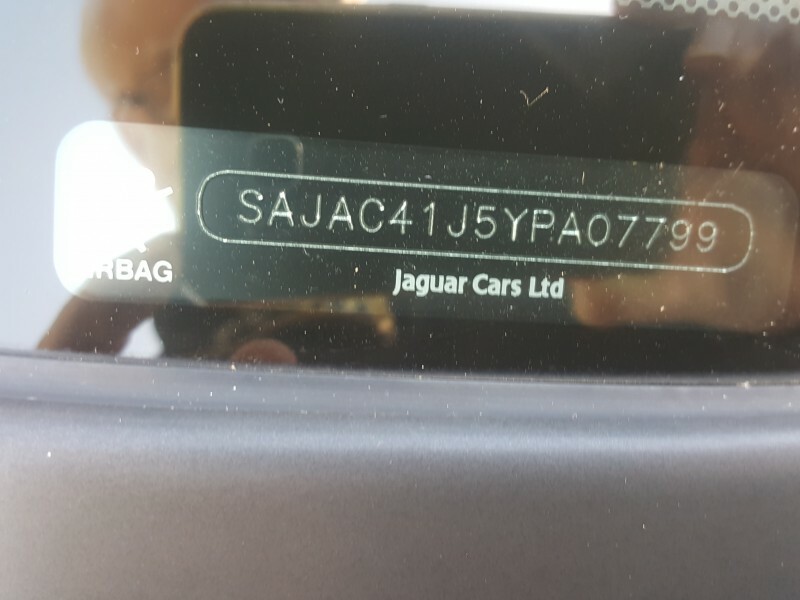 Produced in celebration of Jaguar's 2001 return to Formula One (F1) racing. 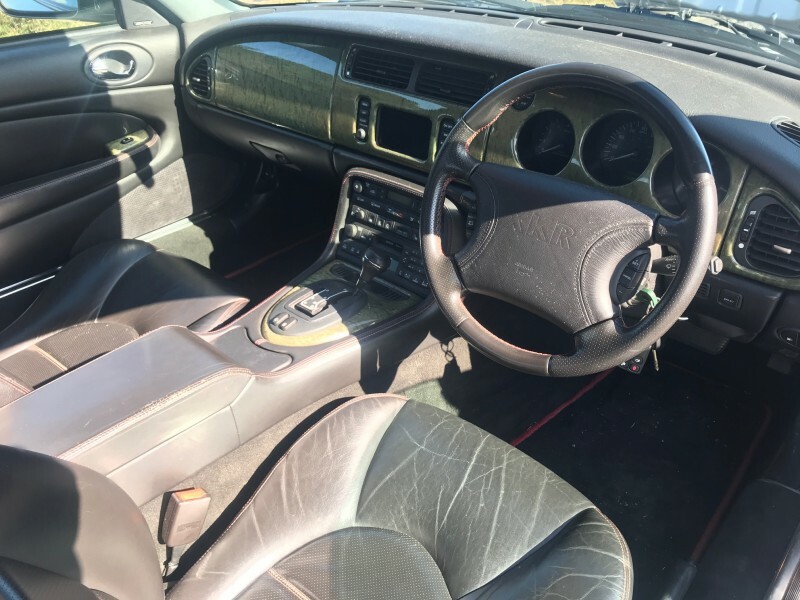 They featured unique platinum paint finish (only available on the Silverstone XKR), specific badges and tread plates,. 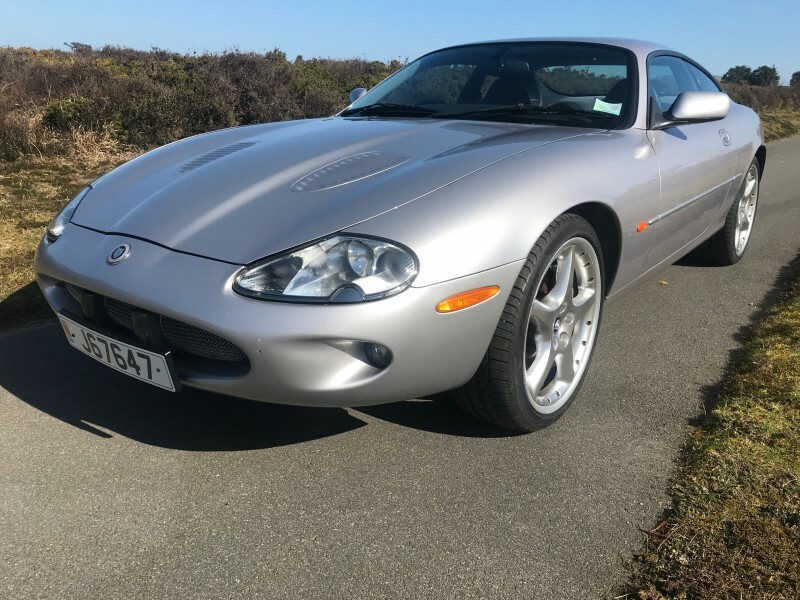 All Silverstones were manufactured in calendar year 2000, the last one being a coupé for the Japanese market built on 23/12/2000. PHASE ONE: Based on the Model Year 2000 XKR. Only 100 Silverstone models were planned in Phase I. 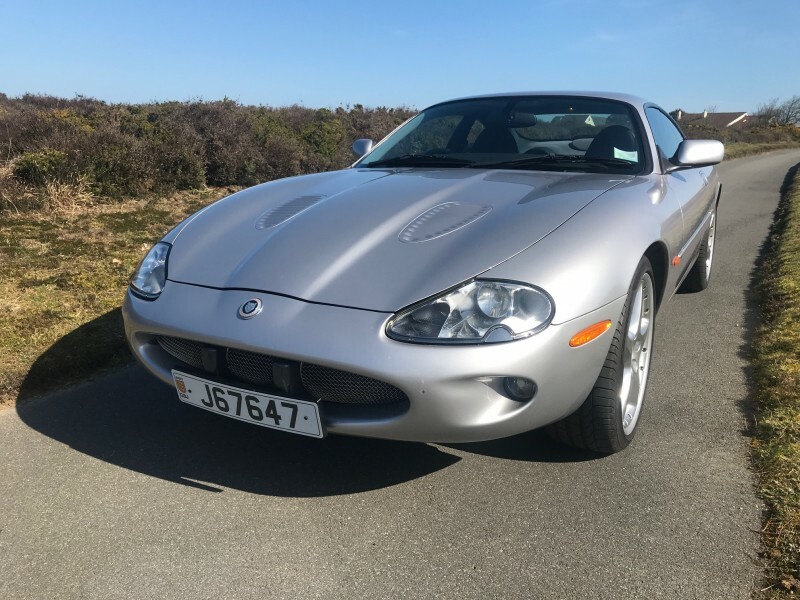 As it transpired, according to "Registre International des XKR Silverstone" these first 100 "phase one" cars totalled 102 in all, and were sold in the UK only. 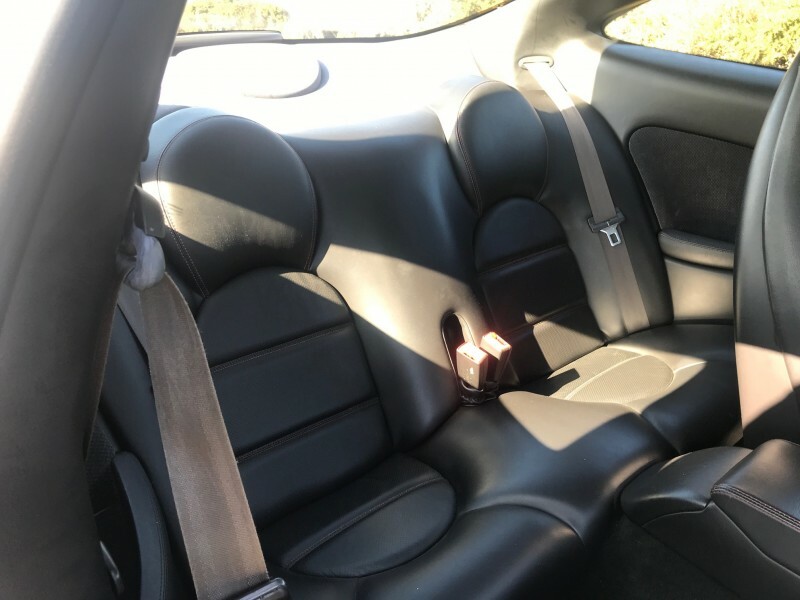 Phase I cars had fixed headrests and were all right-hand drive. 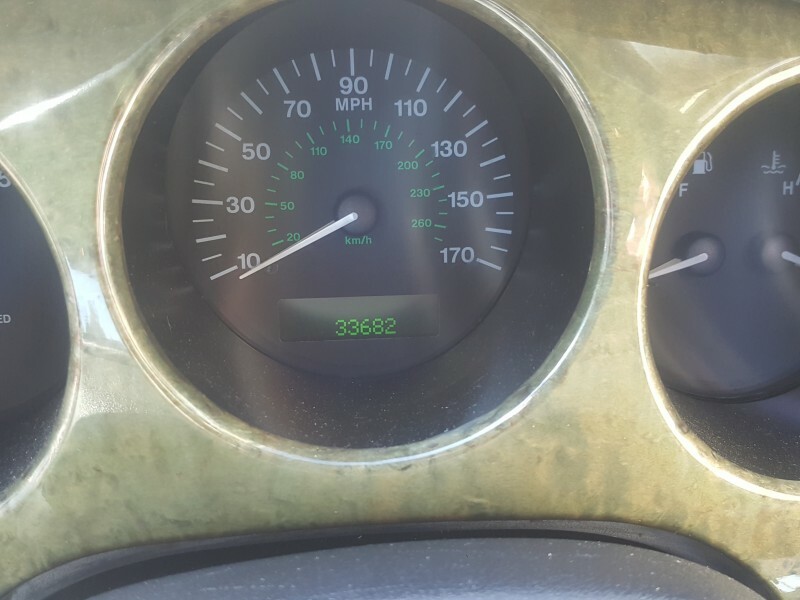 In very good overall condition commensurate with the mileage covered. In Limited Edition Platinum Silver with 20” Detroit alloy wheels, “smoke” stained maple veneer facia and black seats edged with red double stitching. Silverstone badging. In Limited Edition Platinum Silver with 20” Detroit alloy wheels, “smoke” stained maple veneer facia and black seats edged with red double stitching. 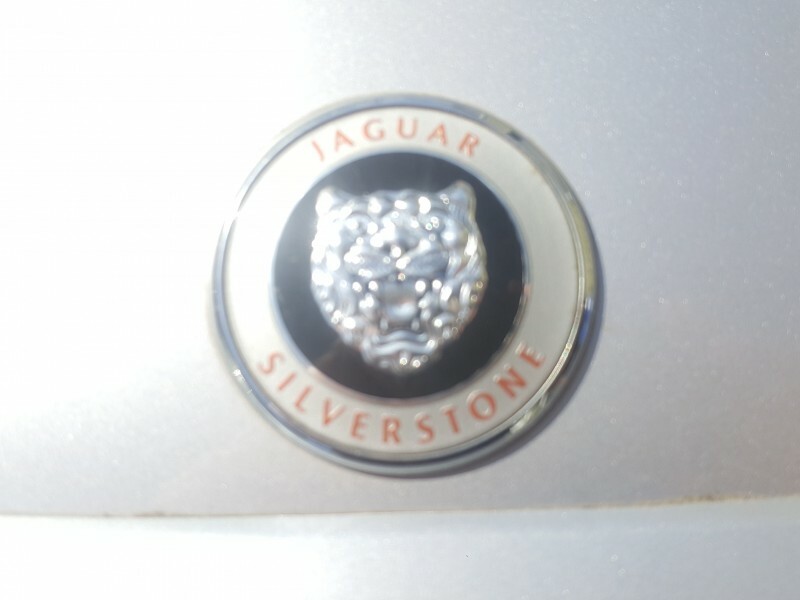 Silverstone badging completed the Limited Edition. 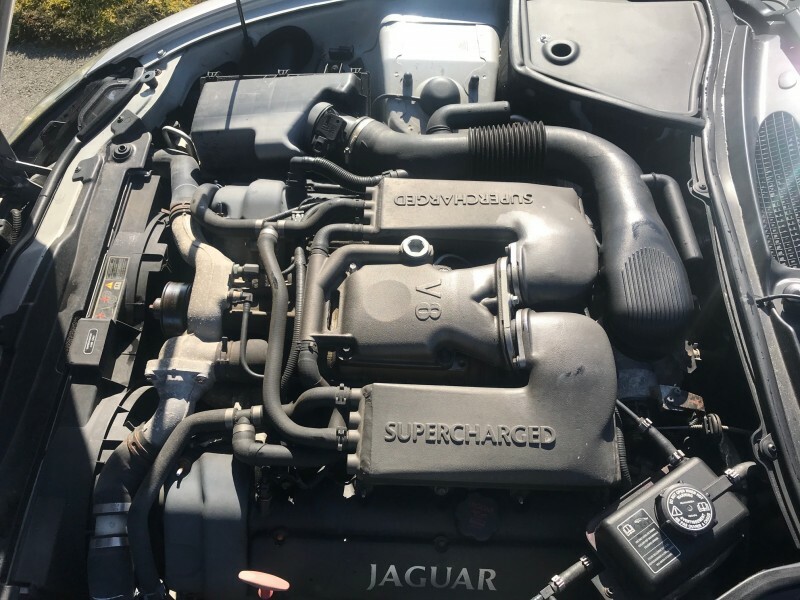 Mechanically the Silverstone was also to be given an upgraded chassis and braking system designed by the Jaguar Special Vehicle Operations team (SVO), this included Brembo brakes and sophisticated CATS system (Computer Active Technology Suspension).